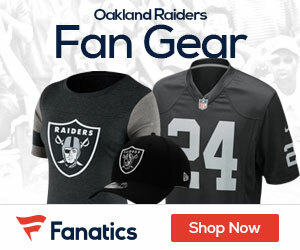 Video: Will the Raiders win the AFC West in 2012-13? The health of Darren McFadden, as anticipated, has been unpredictable throughout his short career. That means the new Raiders front office must plan this offseason on securing talent behind him. It’s never fun to let go of quality players to free cap room, but that is just what we need to do…. Oh, BTW, yes, the Raiders will win the west. But… it will be two years before we return to the super bowl. Hey, am I the only one here. Join me! Where did all my Raider BFF’s go? Can we build a great team by adding only average players? I know it looks bleak for the Raiders in 2012 with all of the talent we have seen leave only to be replaced by players most of us have never heard of…. but I believe the Raiders will surprize many around the league by battling KC & Denver for the AFC West in 2012. All of the players the Raiders have added have something in common….. none of them are household names and all of them are hungry prove themselves in the league. I think we’ll all be surprised how well the Raiders play this year-and things will get better in the years to come. Good days on the horizon in Raider Nation!